C9’s Worlds dream carries on through some of the ugliest games of the tournament so far. 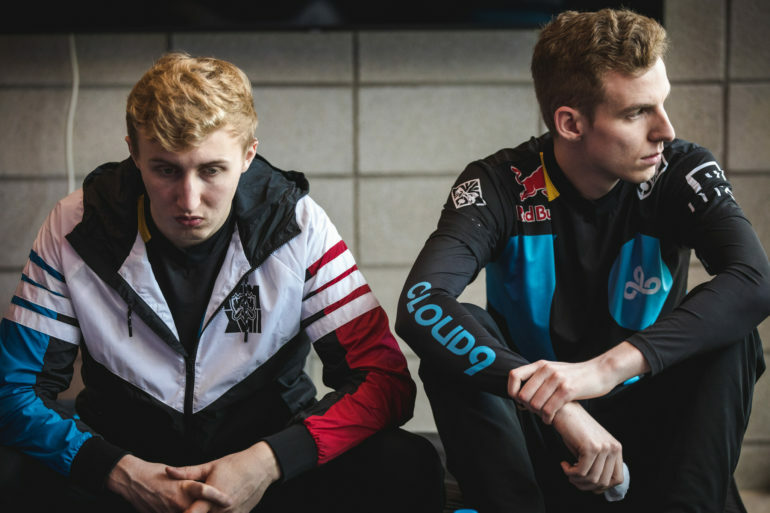 After defeating Gambit Esports in a grueling five-game series at the end of the 2018 League of Legends World Championship play-in stage, Cloud9 have advanced to groups. If you’re a North American fan or just a C9 fan, you should be happy that your team qualified for the main event. But if you’re like us, this series did absolutely nothing to convince you that they can compete with the best teams in the world. Aside from Cloud9’s second win of the series, each game against Gambit was atrocious, and they certainly have a lot to work on. C9 aren’t the only team to blame here, either. In every game of the series, one team or the other flopped during the draft, or picked a solid comp just to completely fail to realize its strengths in-game. The most egregious example of this was Gambit’s comp during game one, where they had an extremely-aggressive style with early and mid-game power spikes, yet failed to force any action on C9 even when in the lead. Aside from the silly drafts and shoddy draft execution, each game was filled with head-scratching decision after head-scratching decision. One team would give up a major resource, like a tower or dragon, for free, almost like they kept forgetting to check vision or take something in return. Other times, such as in the late-game teamfight during game two, it was someone like Eric “Licorice” Ritchie diving headfirst into the enemy team, or Gambit’s entire squad charging the enemy base for greedy kills instead of taking a free and open inhibitor. It was bad choice after bad choice for the first four games, with some hope shining through during game five as both teams played decently well. The sad realization of the day is that after watching Cloud9 struggle to close out each of their four unconvincing wins during the first phase of play-ins, only to flounder and flail about against Gambit for the elimination series, this team is probably going to face many challenges during the group stage. For now, C9 fans can (and should) celebrate that their team made it through. But don’t forget—C9 were supposed to be shoo-ins to qualify for the group stage, and they struggled every step of the way. The worst part? They didn’t struggle because the other teams were suddenly amazing, they struggled because they made too many mistakes. There’s a lot to reflect upon before the group stage kicks off next week.